When I first started yoga, nearly twelve years ago now, I felt like I’d come home. I’d grown up with such patience parents who allowed me to try all mirage of hobbies. I played the recorder, the piano, the drums, I took ballet and tap and jazz, I sang, and I was horrible at all of them. despite my desire to create something beautiful using my body. In my first yoga class, a long lean older South African lady stood at the front of the class and spoke softly. The relief I felt in that moment was immense. I physically felt something lift. in the energy of this beautiful lady clad in an eighties leotard and leggings. I didn’t really pay much attention to the other students in the class. I find that hard to do sometimes, even now, but back then I think I knew I’d found my home and I had no interest in anyone else’s. I finally felt comfortable in my own skin. It took time of course, and with one class a week it wasn’t long before I realised I needed to be able to practice at home. Back in those days the internet wasn’t nearly what it is now and I was relegated to the library to find some books on the subject, and to pick up whatever I could in class. Nowadays we are blessed with apps and websites and books and classes and online classes, but it can be completely overwhelming knowing where to start when you just want to get a taste of yoga for yourself, in your own home. I saw this need, I felt this need, and I sought to answer it. For you. 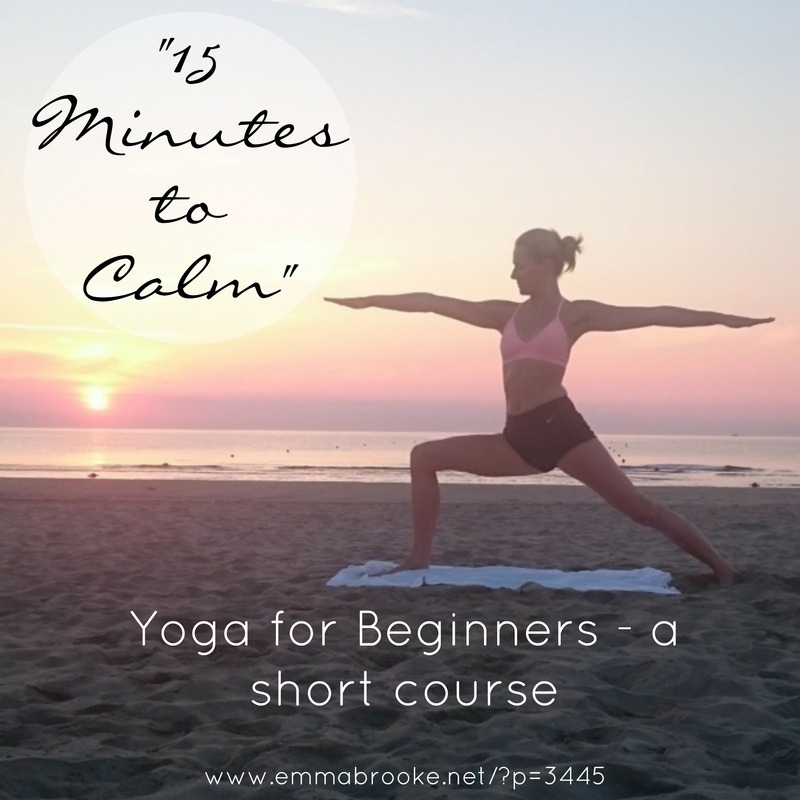 I developed a course that gives you a fifteen minute morning yoga practice. It incorporates movement and stillness, breathwork and meditation, and it asks questions of you to help you integrate yoga in to your daily life. it’s about the sort of person you are, your morals, your dreams, your soul, your joy and your purpose. It’s about reconnecting to who you truly are, and allowing yourself to feel truly free. You are new to yoga and want to start a home practice, but aren’t up for really in depth work yet. You want to learn more about yoga as a spiritual practice in an experiential way. You have limited time in your day but don’t want to miss out on the benefits. This course comes in the form of a pdf with a workbook included in it. There’s photos (of me!) so you can see each posture or breathing exercise and a video with audio explanation that you can move along to once you’ve read and practiced each posture. Pranayama – a breathing exercise to bring balance and flow to the body. Vinyasa – the flow of a sequence of postures to warm the body, stretch and strengthen the muscles and encourage a meditative mindset. Shavasana – the final resting posture, important enough to warrant it’s own section! I would love to share this with you if you’re looking for an easily digestible introduction to a simple yoga practice. Click the link below for instant access and let me know how you get on!